It’s one of London’s best known and most loved dishes, and quite possibly the greatest coupling of all time. But it’s also one of the hardest to get right. As such, London’s finest fried fish is lost in an ocean of greasy mediocrity, and its chips in a sea of sogginess. 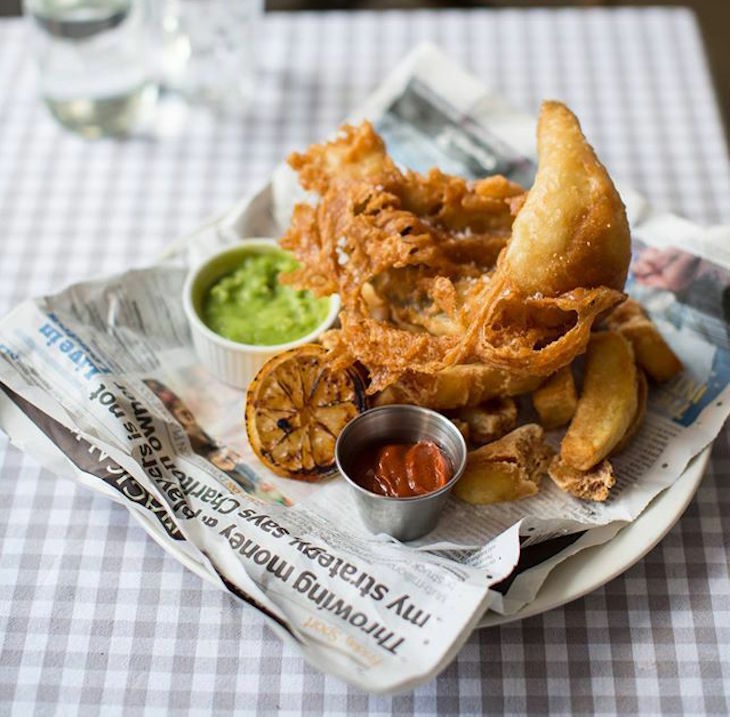 The Bonnie Gull Seafood Shack in Fitzrovia has fish and chips on the menu — beer battered North Sea haddock and beef dripping chunky chips, to be exact. The batter is made using a Japanese tempura mix making it seriously crispy, while we found the fish within to be firm, meaty and moist. Homemade ketchup and mushy peas are final flourishes, while the seaside-style decor sets the scene perfectly. Bonnie Gull Seafood Shack Fitzrovia, 21a Foley Street, W1W 6DS and Bonnie Gull Seafood Shack Soho, 22 Bateman Street, W1D 3AN (alas, the Exmouth Market branch is no more). This old-school Clerkenwell institution appears to have barely changed in all its years of existence (it opened in 1968), and that’s a very good thing. It’s all about the fish — serving a range that spans grilled sardines, oysters and lobster — and as a consequence deals only in the freshest of the stuff. It really shows in the flaky, moist and sweet-tasting cod that gently steams within a light but crunchy batter. The chunky chips are very decent too, but there are mixed reports on the rest of the menu (we've only tried the fish and chips). This sleek and modern-looking Soho chippy uses a carefully planned blend of oils for frying, sourced only sustainable fish, and serves battered halloumi. Its fish is among the flakiest, well-seasoned and highly-flavoured we’ve tried, its batter is reliably crisp and chewy, and the chips are soft and fluffy. A combination of quality and its central location will be to blame for a large cod and chips costing a steep £13.95, but it is worth it. 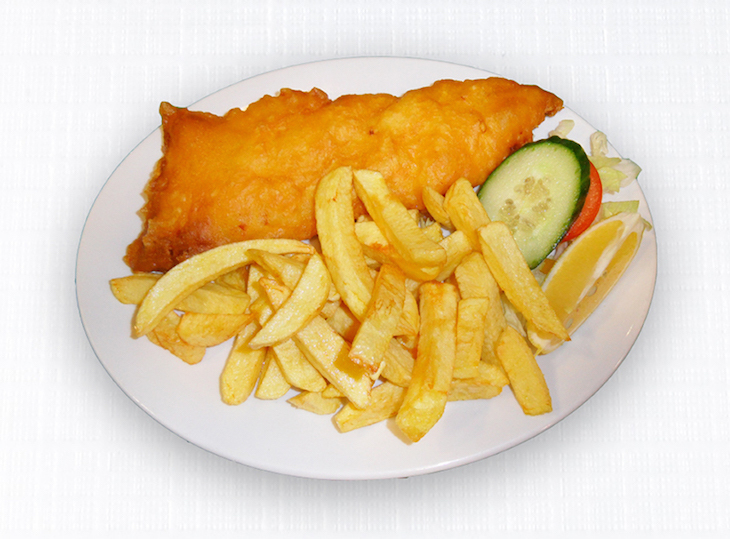 Another gastro-chippy group, there are Kerbisher restaurants in Brook Green, Clapham and Mortlake. 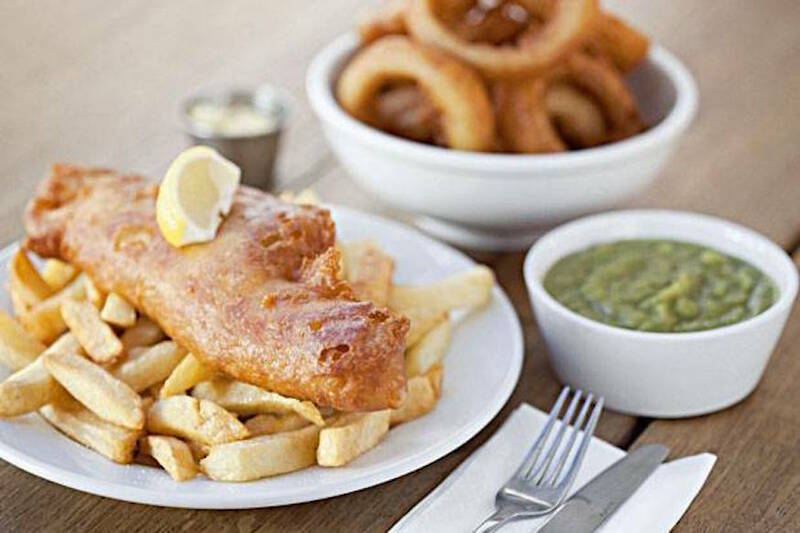 Fat crisp chips (possibly the best on this list), pleasantly chewy batter and proper mushy peas all go in its favour, while the freshness of the fish being served is unquestionable. We also like its breezy seaside vibe, though you’re at no risk of being pooped on by a seagull. To say that it’s styled so as to “recreate East End London between 1945 and 1955” makes Poppie's sound much more gimmicky than it is. 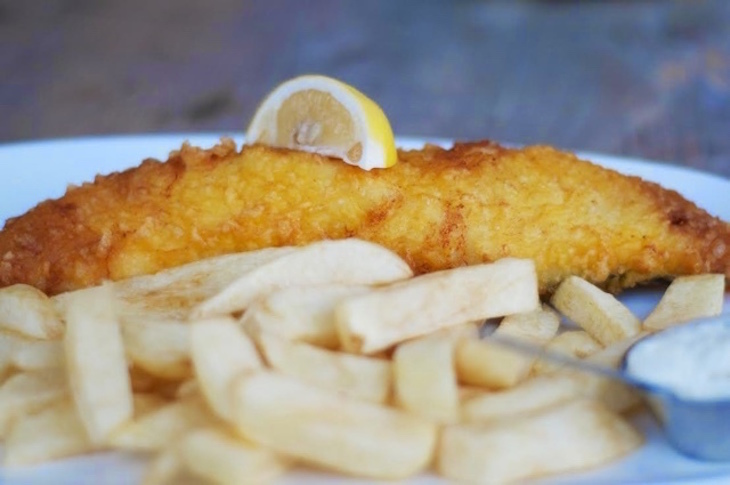 Though its retro leanings may have contributed to the popularity of its Spitalfields site — and the subsequent opening of other in Camden and Soho — it's the fish and chips that make it. Thickish, crunchy batter encases fat fillets of fresh flaky fish, which comes direct from Billingsgate, and fried seafood platters are also treated well. Accompanying chunky chips are of the archetypal ‘chip shop’ variety: not too crunchy, but strongly flavoured and fluffy — the fact they come in (fake) newspaper is a nice touch, too. Danny Sutton — who runs this Stoke Newington favourite — also has a fishmongers in the area, so the high quality and reliable freshness of fish is no surprise. But while it’s the fat, flaky fillets of moist cod encased in crunchy and chewy batter that earn Sutton & Sons a place in this list, that’s just the start of it. From its faux-rustic beach shack interior to the chirpy, chatty service and range of local craft beers it has the whole deal. You also need to try Mrs Sutton’s range of pickles — choose from quail eggs, shallots or red onion rings — and if you still have room she makes a mean sticky toffee pudding, too. Sutton & Sons, 90 Stoke Newington High Street, N16 7NY. Branches in Islington and Hackney Central too. Voted best fish and chip shop in the UK more than once, this Muswell Hill chippy — which has been around since 1968 — is something pretty special. There’s nothing particularly fancy about it, just the highly sought-after holy trinity of crunchy and grease-free batter, fresh and juicy fish, and crisp and fluffy chips. We can’t beat this one. Oliver’s: Mediterranean-influenced chippy in Belsize Park and Whetstone. 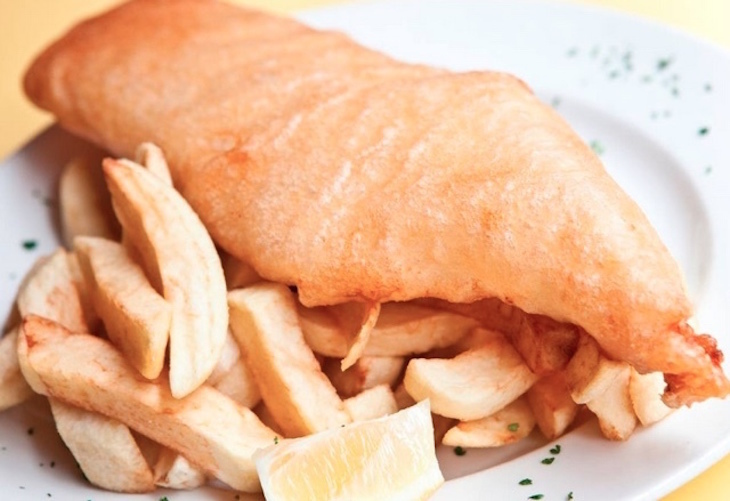 See also: Where was London's first fish and chip shop? 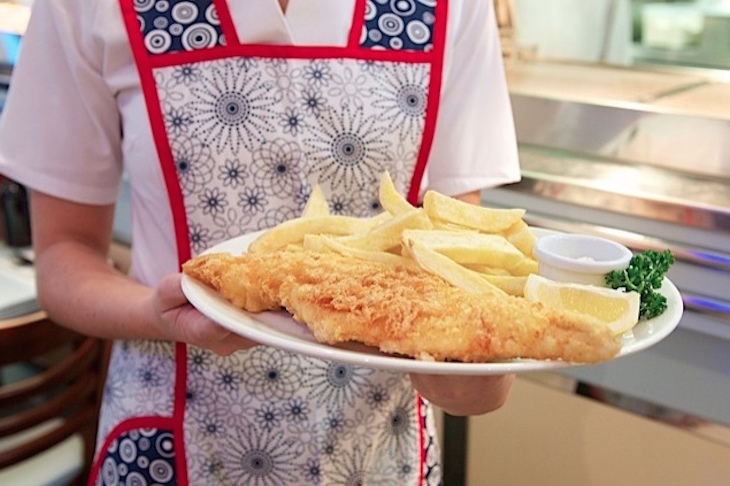 Where Was London's First Fish And Chip Shop?